It was late December 1988. I was in Monrovia, Liberia conducting fieldwork. By chance, I was able to attend the funeral of a former government official, James Y. Gbarbea, who had fled from President Samuel K. Doe’s repression, and died in Charlotte, North Carolina. After a funeral in the United States, his family had brought his body back to Liberia for a wake and funeral in St. Peter’s Lutheran church. The social climate was charged and people were fearful. A number of the singers in the Kpelle choir at St. Peter’s Lutheran church where I was conducting research had whispered to me that their relatives were being detained in prison for their political views or actions. They worried about what was coming next. They would not even speak their opposition views out loud for fear of being heard and incarcerated. This hymn had traveled to Liberia as part of the legacy that came with missionaries and repatriated African Americans who have lived in Liberia since the mid-1800s. It was imported for a religious purpose and sung as musical religious expression. But I discovered in that charged pre-civil war period, as I interviewed people, the hymn was now being redeployed and repurposed. In that tense time, I noticed that other funerals featured the singing of this hymn as well. With more inquiry, I found out that people were now singing it to send a coded message. They wanted to warn the national ruler Samuel K. Doe about how God worked. Doe, they explained to me, may think he could act with impunity, but God would ultimately prevail, and Doe would be punished for his repressive acts. They drew upon the song to protest against Doe and his government without mentioning his name. Several years after the war, when I was lecturing about the political dimensions of music at wakes and funerals in the pre-war years in Liberia, I played a recording of “God Moves in a Mysterious Way,” from the Gbarbea wake. Immediately after I concluded my remarks, Dr. Patrick Seyon, a prominent Liberian scholar who was in the audience, rose to say that the song had been used as an anthem during those difficult times. In other words, while the physical words in the hymnbook had not changed in the two hundred or so years since it had been written, the social context and community understanding of the meanings were now being targeted in a new and political way that layered onto the religious base of understanding. *Newton, John Henry. 1774. Twenty-Six Letters on Religious Subjects; to which are added Hymns. London: J. and W. Oliver. 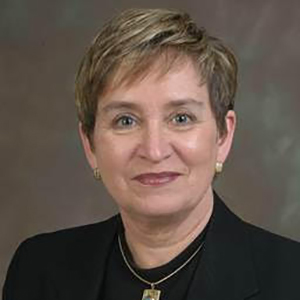 Ruth M. Stone, is Director of the Ethnomusicology Institute and Professor Emerita of Ethnomusicology and African Studies at Indiana University. She is one of the plenary speakers for the 2018 Missiology Lectures.